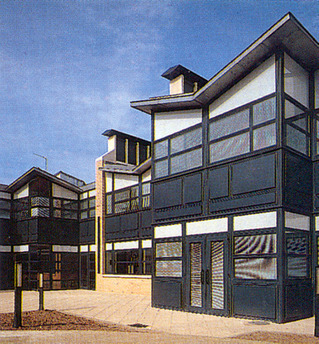 Wood Green Mental Health Centre was designed to provide two separate day-care units with shared facilities. 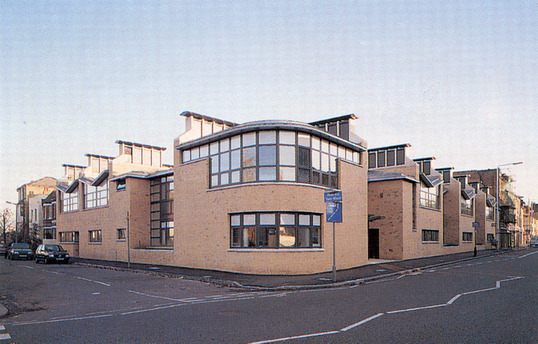 The new community building is on Wood Green High Street in Haringey, London. 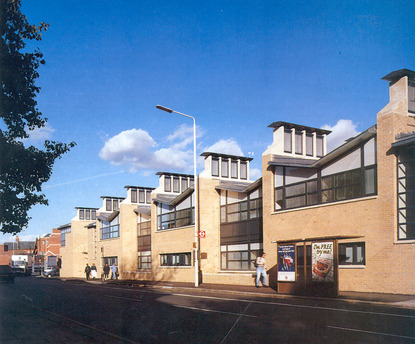 The passive natural ventilation system uses chimneys linked to each internal room to provide natural ventilation without noise and pollution nuisance from the adjoining busy road. 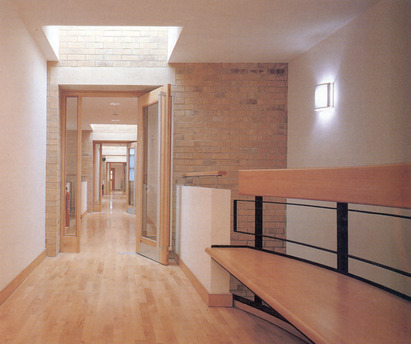 The ventilation controls are arranged to exploit ‘free’ night cooling using the thermal mass of structure.